Photo: Alfred Simonson House, ca. 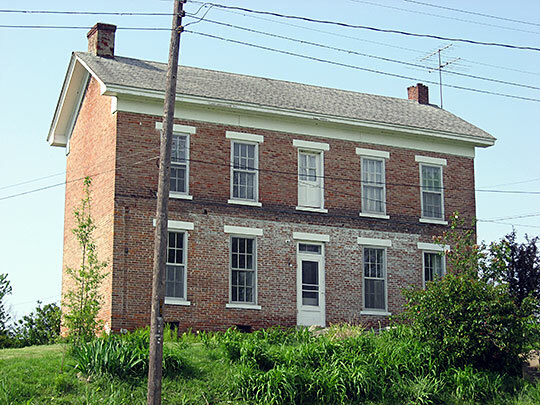 1873, 207 East Shipping Street, Edwardsport, IN. Listed on the National Register of Historic Places in 2009. Photographed by User:Nyttend (own work), 2009, [cc0-by-1.0 (creativecommons.org/publicdomain/zero/1.0/deed.en], via Wikimedia Commons, accessed December, 2013. The Knox County Courthouse is located at 101 North 7th Street, Vincennes, IN 47591; phone: 812-885-2502. Knox County was organized in 1790 and named for Major General Henry Knox [1750-1806]. Knox served as Secretary of War, a position created by President George Washington; he served as Secretary from 1789 to 1794.